For you logophiles out there, I highly recommend Other-Wordly, a truly unique and expertly-researched compendium of odd and interesting words from all over the world. Check it out. I’ve got opinions. The good people at Figment are letting me shout about them. Facebook only has a Like button— and okay you can Unlike something you’ve already Liked, but that’s way too limiting. What about all those special circumstances when “like” is just too vague? As you may recall, when I’m not writing novels or battling forty-story robots from the future, I also co-manage a literary magazine. I’m so proud and honored that Armchair/Shotgun is listed with nine other “Literary Heirs” today in New York Times Magazine. And FYI: I’ll be moderating Armchair/Shotgun’s panel discussion at Greenlight Books on March 5th, featuring Abe’s Penny and Electric Literature, along with several other super guests. Come join us! FIRES OF NEW SUN is here! Gang, I’m all a-twitter. THE FIRES OF NEW SUN, part II in Michael Kinch‘s BLENDING TIME trilogy pubs this week! One of my favorite female protagonists in y.a. Absolutely terrifying action that’s dark as hell and unflinching. Thanks to Sarah for pointing this out. 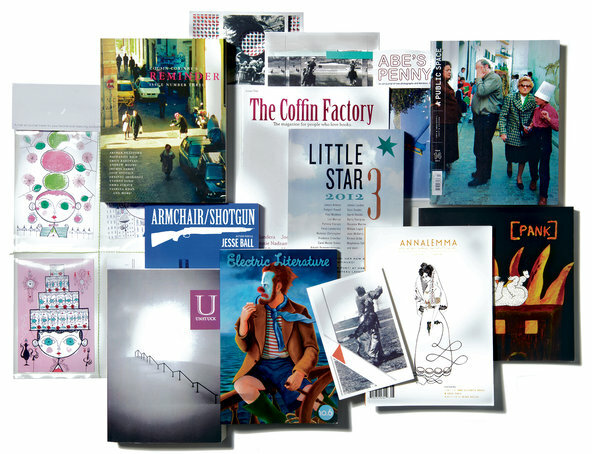 Hope ya don’t mind if I talk about a magazine near and dear to my heart. But seriously folks, few things in life give me greater pleasure and sense of meaning than publishing the superlative contributors of Armchair/Shotgun. A/S is a great little-big mag, and we are fortunate to work with some of the most talented poets, artists, and authors I’ve ever met (and I don’t say that lightly). These are artists I believe in. I believe in their talent and their drive, the sincerity of their work, and their consummate execution. Which is why I may ask you, dear reader, to consider purchasing a subscription or copy of Armchair/Shotgun this Holiday Season. 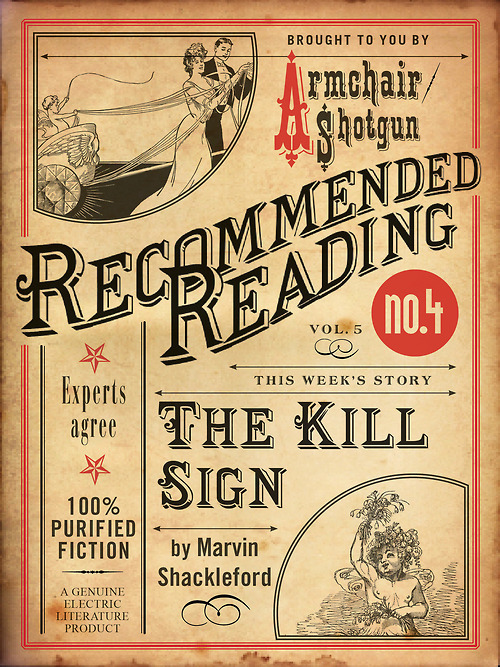 Printed on paper and available in bookstores, Armchair/Shotgun is a shareable, lendable, book-markable, spam-free reading experience. Its whisper-net connection is so quiet it’s not even connected to anything. The battery never runs out. The text is readable under any light source. You can access a new story or poem instantly, just by turning the page. And who doesn’t feel a little sexier with an indie BK lit mag on their coffee table? Eh? Eh? You know what I’m talking about. BUY, SUBSCRIBE, OR FIND US AT A BOOKSTORE NEAR YOU. 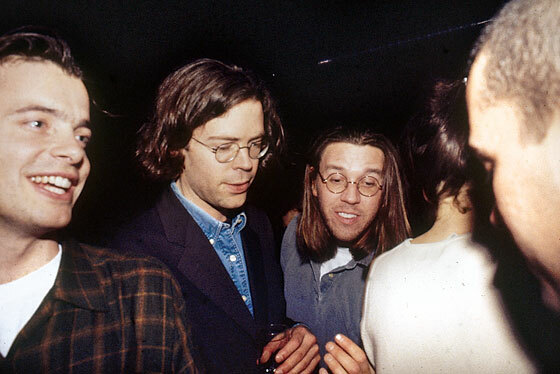 A friend forwarded me this terrific New York Books article about the young friendships of David Foster Wallace, Jonathan Franzen, Jeffery Eugenides, and Mary Karr. Mary Karr was one of the first authors I latched onto in high school. My completely awesome rebel of an English teacher assigned her memoir Liar’s Club, after which I devoured her follow-up, Cherry (for which I named the eponymous girly in CHERRY MONEY BABY). In college I picked up The Corrections and put it down twice on the advice of two readers I respected, who claimed they “just couldn’t get through it.” Finally I decided to ignore their advice, and was enthralled. Last June I gobbled up Freedom much the same. In July I started Eugenides Middlesex, which someone had given to me as a gift, and which I’d avoided, thinking it was an “issues book.” Now Eugenides is one of my favorite authors, and I’m loving his latest, Marriage Plot. I was amazed that three of my heroes, each of whom I’d come to separately, were close at the same age I am now, and in the same place (Eugenides lived in Prospect Heights, just a few blocks from my apartment). It was also heartening to discover these writers struggled in their late twenties, even those who’d published already. (Yes, I felt like a smarty-pants to find Karr and Franzen shared my opinions about Wallace’s early fiction.). I know, I know: it’s corny, not to mention narcissistic, to read an article like this and see parallels to one’s own life (friends and I have already had the obligatory You’re Jeff and I’m David. No dude, if any one’s David I’m David conversations), but it is heartening to remember that even the great ones experience self-doubt, set backs, and the same tribulations as the rest of us humans. And to remember there are other people who care so much about novels. I’d like to think if I were trying to write in Brooklyn in the ’80’s, I’d have been pals with Jeff, traded barbs with Jonathan, and cried when Mary chose David over me.